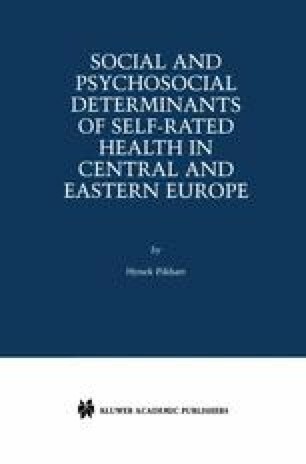 Health status in the countries of Central and Eastern Europe (CCEE), including the former Soviet Union, is substantially worse than in the west (Bobak and Marmot, 1996). Current life expectancy in the CCEE is some six years shorter than in western Europe, although the gap was much smaller in 1970 (Figures 1 and 2). In countries such as Poland, Hungary or the former Czechoslovakia life expectancy was similar to that in neighbouring Western countries (Austria, Germany) in the 1950’s but the trends diverged during 1960’s. The main group of diseases responsible for this excess mortality in the CCEE are cardiovascular diseases (CVD) and external causes (violence and accidents) (Table 1).